Kramer Fine Art | Sunday Morning. 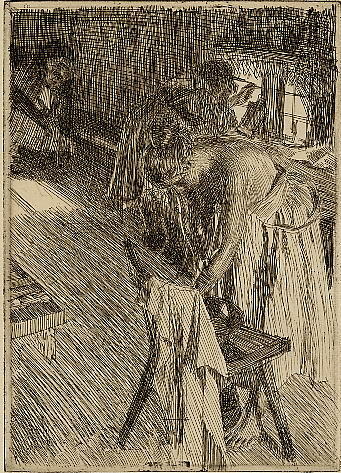 Etching, H & H 184, 1894, Second State, edition 25. 10 7/8 x 7 3/4 inches.